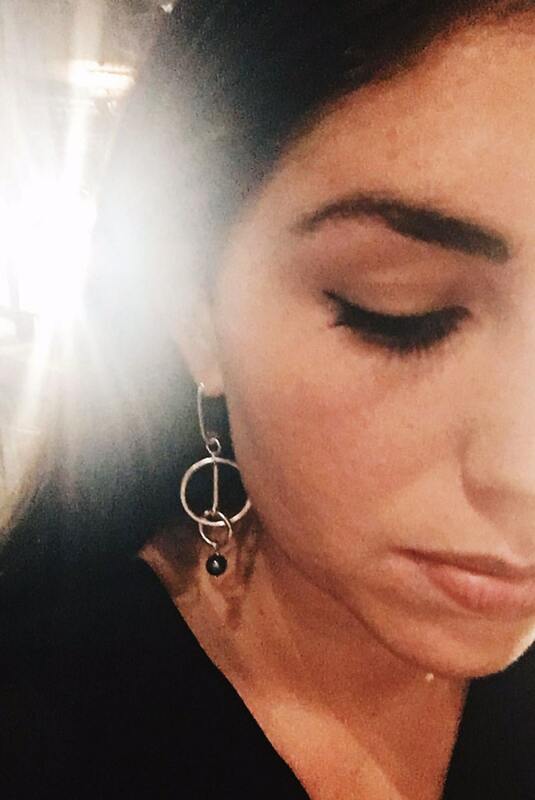 A pair of statement sterling silver and black pearl earrings made up of interlocking rings. 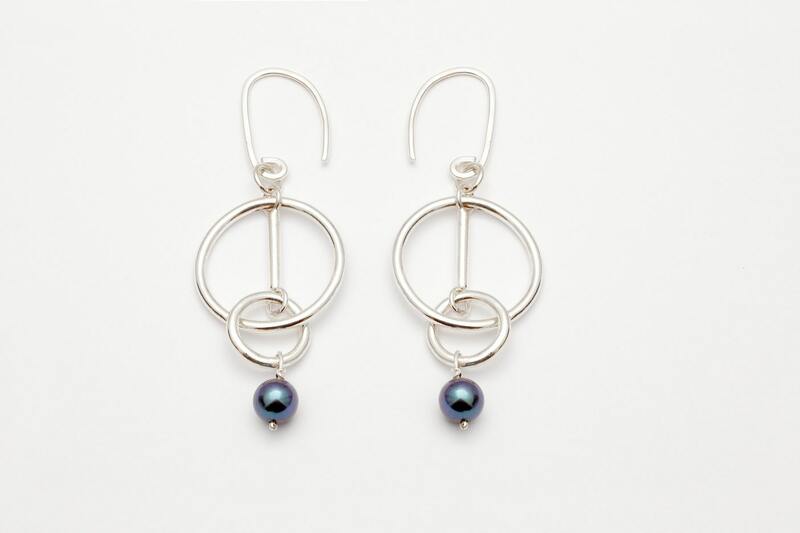 These earrings are individually handmade using sawing and forging techniques and finished with a black pearl on fine silver wire. No casting is used. The pearls are sourced direct from Borneo and are the organically dyed freshwater variety. The ear wires are also handmade and hammered flat at the top to give a distinctive shape.